Yep – hope you can hear the irony. Houston has never been high on my list of American cities to visit, but as a gateway to the rest of the USA – I’m interested. 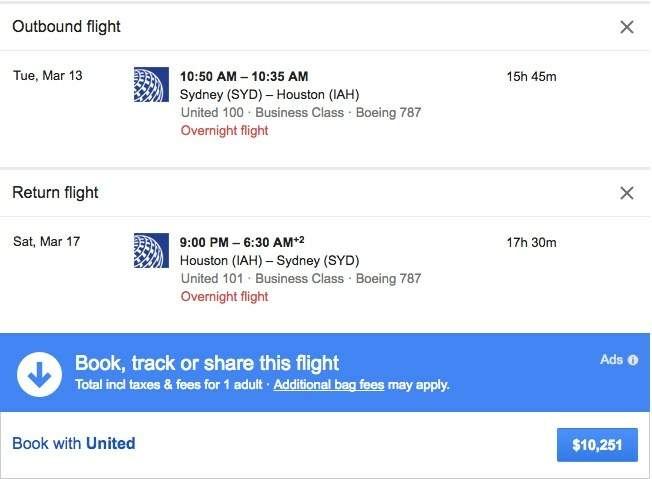 United has just announced a daily, direct route between Sydney and Houston using a 787-9, starting on January 20, 2018. That will provide competition to Qantas’s A380 also flying on the ‘Big Hair’ route – but terminating in Dallas. Houston is a UA hub, from which you can reach some 70 cities in North America. Flight UA101 departs Houston 8 pm arriving Sydney 6.30am plus two days – due to that international dateline. You will have plenty of time to get a good long sleep, consume a couple of movies and several meals, given it will take just shy of 16 hours Sydney to Houston, and 17.5 hours on the return leg. 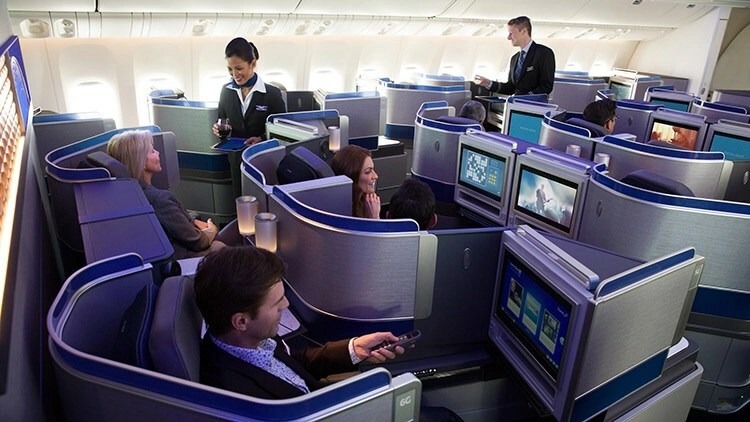 And this won’t be in the new all aisle access Polaris seat configuration (illustrated above), despite being called ‘Polaris business class’ according to the release. It will be in the 48 seats of business class in the old 2-2-2 configuration. However – given the Polaris title, you should get the revised Polaris service, which includes pyjamas, bedding branded Sacs Fifth Avenue and Cowshed amenities. 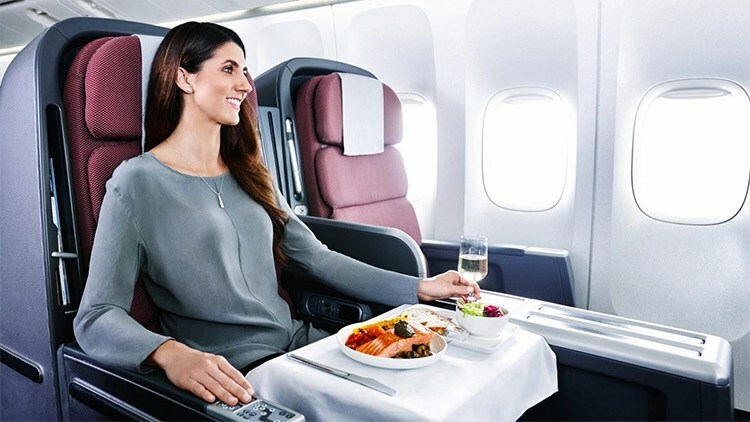 The seating product is on par with the business class product currently on the Qantas A380, however, with no possibility of an upgrade to First on United. If I do the ‘Big Hair’ route – I think I might stick with Qantas – of course depending on price. And on a quick search, today for flights on Tuesday, March 13, 2018, the prices are set out below. Quite a big gap. 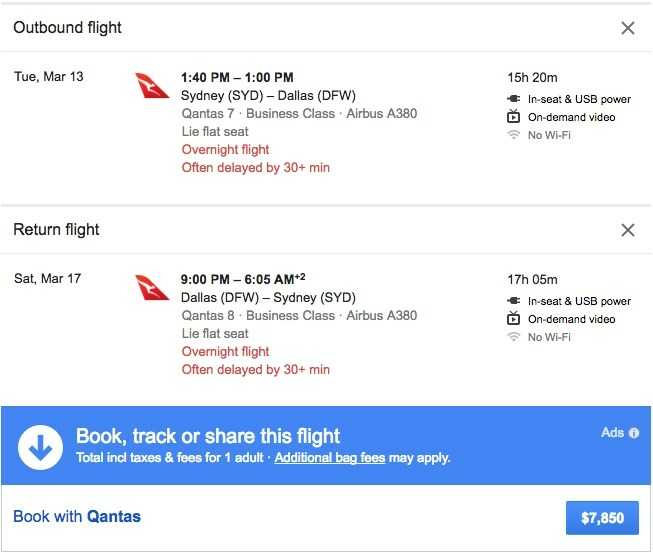 Qantas AU$7,850 v United AU$10,251.